I received a surprise package the other day from Linsoul. I was notified the day before delivery during Chinese New Year, which is unusual. Linsoul told me that the T3 was going live on Massdrop at an introductory price of $59. It will apparently be $69 at retail. 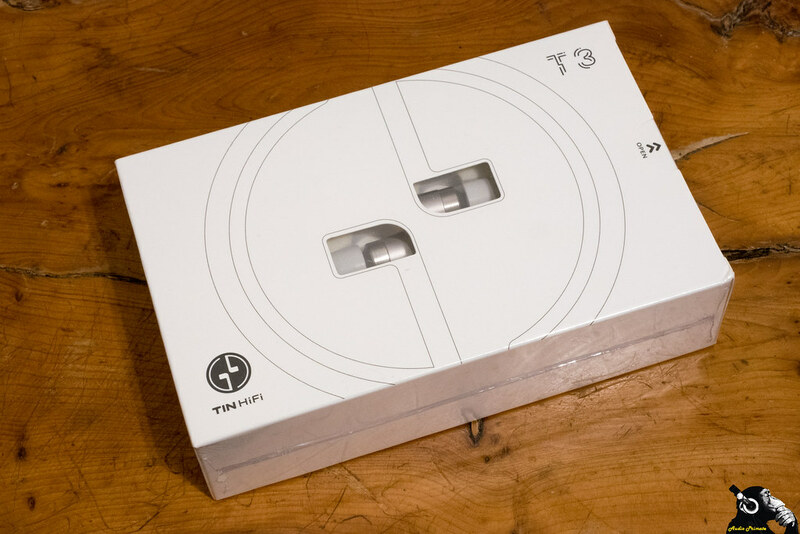 The T3 is a follow-up to the two dynamic driver Tin Audio T2 and the two dynamic driver Tin Audio T2 Pro. It’s their first hybrid offering, with one dynamic driver and one balanced armature driver from Knowles. 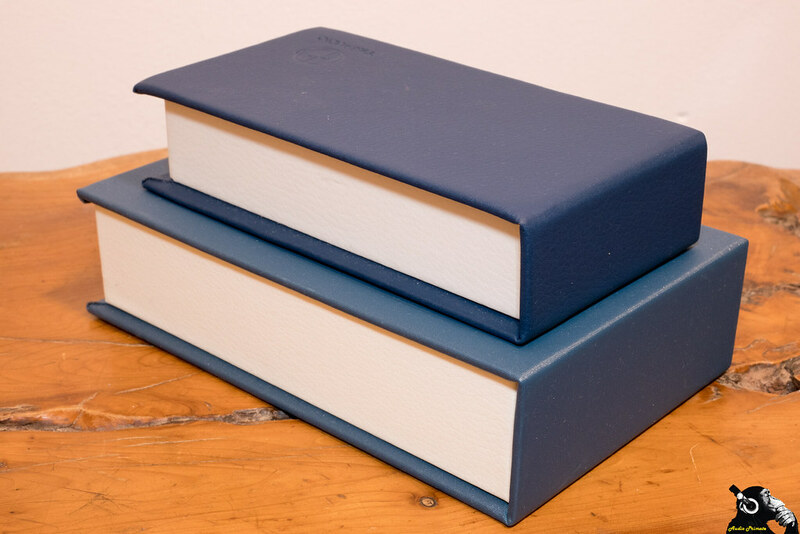 The packaging is bigger than previous incarnations, with a window crudely cut into the top of Tin Audio’s signature book-style case. The vinyl covering on the T3 has a soft vinyl texture, while the T2 and T2 Pro had faux leather. The box is nearly double the volume of the T2 and T2 Pro case. 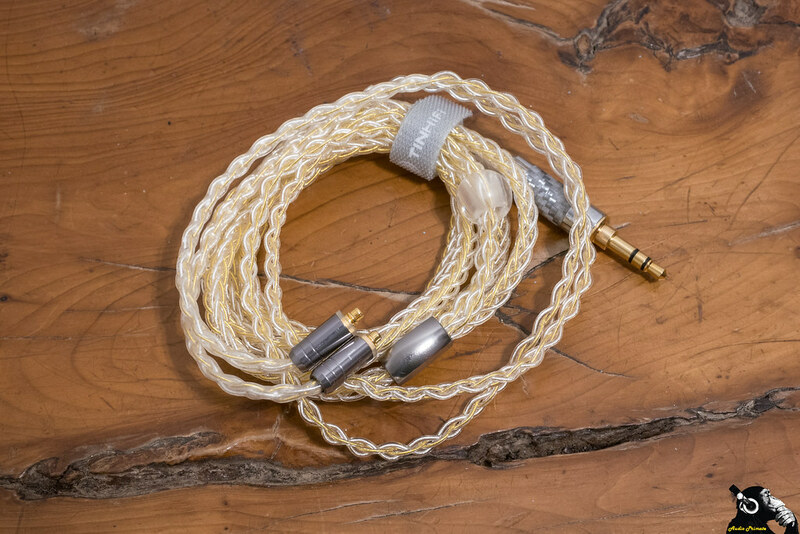 Previous incarnations of Tin Audio designs came with a quad twisted silver plated copper cable. That cable has a bit of a rough finish to it. The only difference between the T2 and T2 Pro cables was the colour of the termination. My T2 Pro cable actually failed, even though it was supposed to have improved MMCX connectors. The T3 cable is much more swish looking than the T2 or T2 Pro cables. Instead of a double twist, it’s a silver-plated copper 8 braid design with wires that are roughly 28 to 30 AWG. One pair of cores is golden in appearance, but it doesn’t appear to be gold as it has a more yellow tone. I’d guess it’s either a lacquer or bronze electroplating. Using an 8-braid geometry was very clever, as it looks very premium, but what most folks don’t know is it easier to accomplish a good look doing machine braiding in an 8-braid configuration than a quad braid configuration. Machine braided quad braids look like hell, as the last bit connecting to the ear is usually zig-zag from being untwisted. This means that costs can be kept down with no sacrifice in appearance by using 8 braid machine braiding. Maybe they hand braid, but I’d guess that a machine braiding method is more likely. I approve of this. Better quality at less cost is a good thing. The cable itself has an excellent feel to it. It’s soft and very flexible. 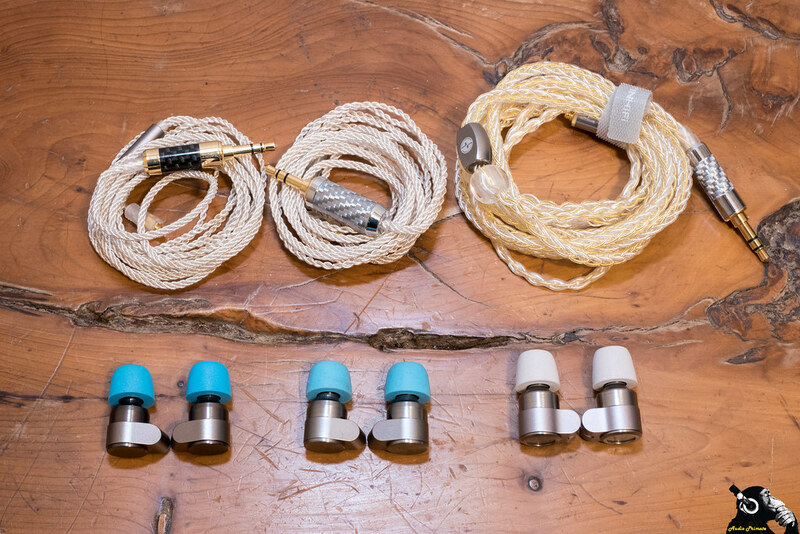 They did exactly the right thing on the ear-guide for folks who like to wear over the ear, but all the folks who were wearing cable down will be disappointed. I wear cable up so no problem. The ear-guide is my favourite type: no memory wire and made of pre-formed heat-shrink. It’s soft and comfortable on top of the ear. As a bonus, the cable comes with a cable wrap, which I love. The new aesthetics on the T3 are good. The T2 Pro and T2 were difficult to tell apart, which made it frustrating for me doing switches during comparisons. I actually made marks on the T2 Pro to make it easier to tell apart from the T2. While it looks distinct from the T2 and T2 Pro, the T3 does have a little mistake. The right and left ears aren’t oriented ergonomically. The good news is the cable can be reversed to correct this. 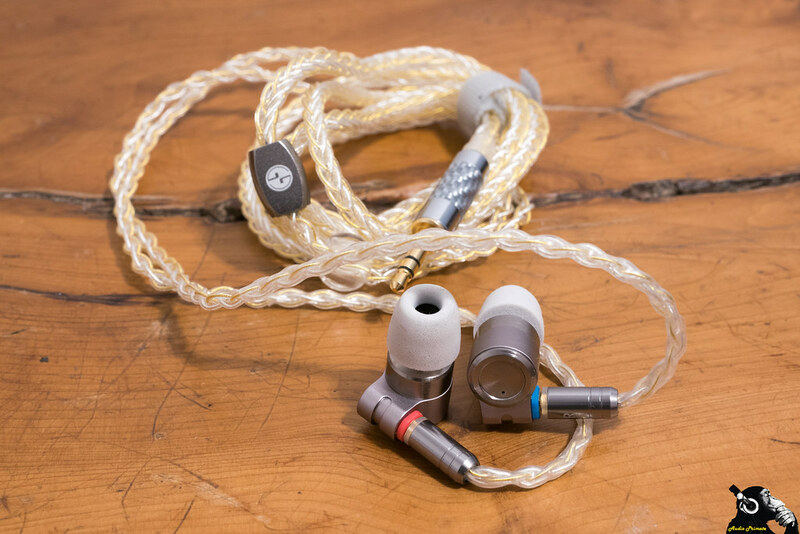 The most comfortable way to wear these is with the right earpiece connected to the left cable and worn in the left ear, cable up. I was disappointed to find that Tin Audio still hasn’t graced us with an appropriate carry case. A $1 travel case would make a big difference for me. Outside of the omission of the case, the accessories are good: excellent cable with cable wrap, 3 types of tips (2 foamie sizes, 3 sizes of generic tips, 3 sizes fake Sony hybrid tips), box that doubles as a display case. Not bad. For usability, these are stupidly easy to drive, which will actually make them sound worse with lossy volume controls on phones (not a problem on LG V30 as it has a good volume control). I’d up the resistance on these if possible. As usual I used the HiBy R3 and my LG V30 to listen to the T3. I haven’t burned it in, so the sound still may evolve some. The T3 has good accurate meaty stand-up bass on Macy Gray – Annabelle (24-192, binaural). The stage is on the small side of what I’m used to listening with, not much depth and width is also stymied a bit. If I didn’t know, I wouldn’t place that the recording is binaural. Macy’s vocals are dipped a bit back with the guitar in the upper mids and the bass thrust a bit forward. 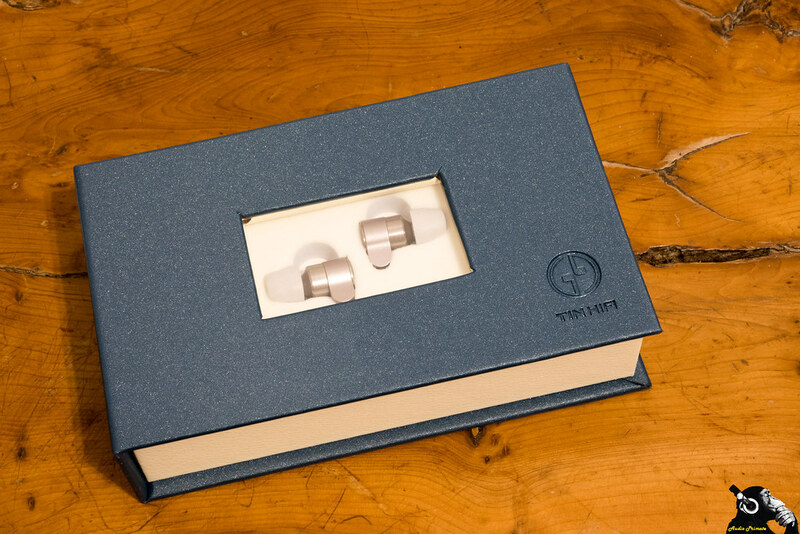 Previous incarnations from Tin Audio had a bit less v-shape to the signature. Guitar is nice and clear with good decay. Treble on Kraftwerk – Kometenmelodie 2 (24-96 vinyl rip) sounds a touch distant, which means that roll-off probably begins a bit early. This would explain both the lack of shrillness, and also the minimal air in the stage. I’m not getting the shrillness that I normally get in this recording. More weight is being placed on the mids and the bass. Bass drum has nice kick. Needs more upper treble. Bass guitar on Metallica – Until It Sleeps (24-96 reissue) is dripping with menace. The bass is really gripping me so bad. That’s some muscular bass. James Hetfield’s vocals are getting some great texture too. This track fits just about perfect for the T3. The Beats, Man – Babies’ Broken Beats (16-44) has explosive bass drum, and snarling guitar and the T3 delivers this with loads of power and character. Mids are nicely defined as they tend towards the upper side of the mids. As observed before the treble rolls off early, removing some of the intentional cacophonous sounds in the track. 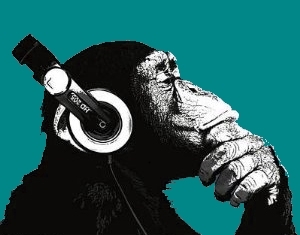 On The Pixies – Where Is My Mind? (DSD64) the female vocal lacks soar. It’s like it’s cut off mid ascent. This again is a symptom of the premature roll-off of the treble robbing overtones and air from the sound. The male vocals are good and detail through mids is excellent. As usual the bass guitar is bang on. 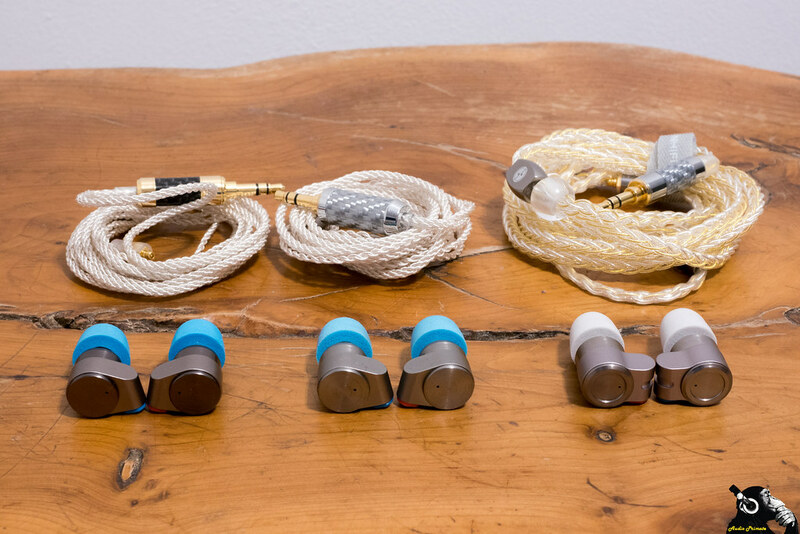 In comparison, the T2 Pro have more soar and air with more linear mids, at the cost of treble that can sound a touch brittle. If you are a treble head, these probably won’t be for you. I’ve noted that balanced armatures, which is what will drive the treble, don’t really change much on burn-in, but the dynamic driver could open up some. If you are treble sensitive and love bass and mids, these will do you real good right out of the box. These growl beautifully when called for and have delightful drum impact, especially on bass drum. These drivers only have a couple hours on them, so I can’t say that the sound won’t open up. I’ll revisit these after some more listening, and some more burn-in.